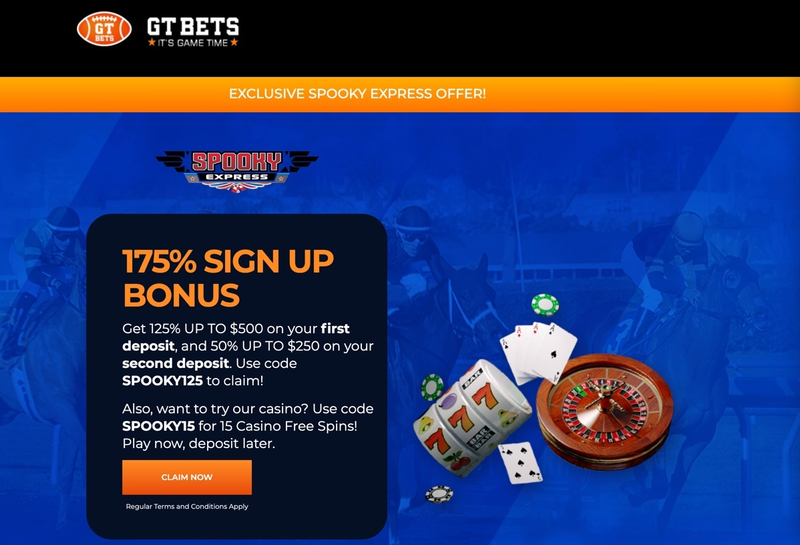 Since the 2018-19 season in European football (soccer) is already seriously underway, we from Spooky Express have reviewed the ongoing situation in the English Premier League as well as some of the latest betting odds movements on the major favorites to win the title. Leaving the video assistant referee (VAR) debate aside, the new Premier League campaign promises some real excitement. After the opening six rounds, we observe an extremely intriguing race on top of the table where Liverpool, Manchester City, and Chelsea are all unbeaten. Although it's too early to make some general conclusions, it seems that the best online bookmakers in the USA were probably right to determine Man City and Liverpool as the two biggest favorites. Meanwhile, Chelsea was ranked fourth according to the preseason odds but the Londoners have shown guts and quality to challenge the aforementioned pair. With the beginning of the League Cup in the midweek and the already started group stage of both major continental soccer competitions (The UEFA Champions League and the UEFA Europa League), all of the so-called “top-six teams” should prepare for a more tight schedule. Anyway, that's not something new for the leading English Premier League clubs and it's yet to be seen how effective their summer preparation actually was, which manager has the greatest squad depth, and whether the 2018 FIFA World Cup has had its impact on the top EPL players. Finding themselves closely behind Jurgen Klopp's Liverpool, the reigning champions and preseason favorites Manchester City remain the top contenders according to the bookies. Nevertheless, Pep Guardiola's men can already feel the pressure coming from an inspired Liverpool as well as from apparently resurrected Chelsea. Not to mention that it's still too early to write off teams like Manchester United, Tottenham and Arsenal. Man City have kicked off the new season in style by winning the FA Community Shield for the fifth time in their history. Having won five of their six league games so far, The Sky Blues have only slipped in their visit to newly promoted Wolves (1-1 draw) on matchday three. On the other hand, Pep Guardiola's side has failed to meet the high expectations internationally, at least in the very beginning of their Champions League venture. That happened last week when City surprisingly lost 2-1 to French Lyon at home, but another disappointment came from the 15 000 empty seats at the Etihad. This clearly shows that Man City fans somehow struggle to find Champions League magic and the Citizens apparently prioritize the Premier League. Despite the injury of an important figure like their playmaker Kevin De Bruyne, Manchester City looks solid in midfield with the likes of Fernandinho, Ilkay Gundogan and David Silva all available. Left-back and World Cup winner Benjamin Mendy impressed with 4 assists in 4 league appearances so far, while the summer signing Riyad Mahrez won't get the starting spot that easily, since he must compete with other capable wingers like Bernardo Silva, Raheem Sterling, and Leroy Sane. In the meantime, top goalscorer Sergio Aguero had signed a new contract with the Manchester outfit, which will keep him at the Etihad Stadium until 2021. Liverpool looks extremely impressive in the opening weeks of the 2018-19 campaign. The Merseyside club justifies the preseason expectations of the bookies and of many pundits, who were backing their readiness to turn into real title contenders this year. 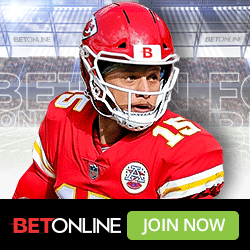 We can easily find a testimonial of their progress in the latest betting odds – Liverpool's title-winning chances are now rated +175, instead of +380 before the season kick-off. Some people will agree that a sleeping giant has finally woke up, others may deny it, but one thing is sure – The Klopp Effect can now be seen. Almost three years ago, on 8 October 2015, Jurgen Klopp agreed to a three-year deal to become Liverpool manager and “The Normal One” (like he described himself) said he hoped to deliver a trophy within four years. Klopp's Liverpool debut was a goalless draw away with Tottenham Hotspur on 17 October 2015 and looking at the starting XI he used back then – James Milner is the only one who frequently finds a place in the current lineup. Others are backup or most of them have already left the club. This shows that Jurgen Klopp received the credit he needed by everyone in Liverpool and after the significant spending in 2018, now it is harvest time. Although The Reds have been knocked out by Chelsea early in the League Cup, losing 2-1 at home in the midweek, this won't affect their superb morale and Jurgen Klopp's men are looking forward to the upcoming league game with the same opposition on Saturday night. This will be another clash within a very tight schedule for Liverpool who will travel to Italy next week, for a Champions League encounter with Napoli, and then they'll take on Man City at home next weekend. Before the defeat to Chelsea, Liverpool won a seventh straight game in all competitions (six league games + a massive 3-2 victory over PSG in the Champions League) from the start of a season for the first time in 28 years. This returns some memories to the months after their last league triumph, when the squad led by Kenny Dalglish won 9 successive games. The key to Liverpool's progress is unquestionably the significant improvement in their defense. That's entirely based on Klopp's transfer policy and the contribution of Dutch defender Virgil van Dijk in particular, whose record-breaking transfer last winter had an immediate impact on their game. Liverpool have reached the 2018 Champions League final as a result, but their tightened defending is even more noticeable in the Premier League, where The Reds have kept a clean sheet in their last 8 Anfield outings. Moreover, Alisson's summer transfer adds even more stability to the defensive line. Despite his error against Leicester City in matchday four, the Brazil national team goalkeeper remained focused and his partnership with the defenders looks promising. Remember, we've backed Liverpool in the preseason and our betting pick now looks even more reliable, given their flawless Premier League form and the fine defensive record – Liverpool have only conceded two goals in six rounds. Chelsea was somehow neglected in the preseason analysis of many soccer experts who were probably expecting a difficult switch for Maurizio Sarri. The newly appointed Italian manager had to adjust to a completely different reality after spending his entire career in Italy and the Stamford Bridge move is his first appointment abroad. Consequently, most people were also thinking that Sarri will need some time to adapt to the new atmosphere. Following a 2-0 loss to Man City in Maurizio Sarri's debut (The 2018 FA Community Shield), The Blues are doing quite well on three different fronts. Chelsea was at the Premier League's peak until the goalless draw with West Ham United last Sunday, having won five games in a row. However, the Londoners remain in an excellent position (3rd), two points adrift of Liverpool, and another victory over their Merseyside rivals within just four days may eventually climb them on top of the table. This weekend Chelsea is set to return at the “Stamford Bridge” after three consecutive games on the road, including the already mentioned 0-0 draw with West Ham, the midweek win in Liverpool, as well as a 1-0 win over PAOK in Greece, which marked the beginning of their UEFA Europa League campaign. All in all, The Blues are unbeaten in their last 8 competitive games – having seven wins and one draw in that period. Despite some recent rumors that Roman Abramovich is willing to sell the club, Chelsea's financial stability looks guaranteed and even if Abramovich really sells them, it's pretty sure that only another wealthy owner can finalize such a takeover. Maurizio Sarri is surely pleased that a world class player like Eden Hazard stayed in London despite the reported interest of Real Madrid, and the Belgian winger has been magnificent so far in the season. With Hazard available, Chelsea must be seriously considered as title challengers, especially when The Blues are not playing in the UEFA Champions League this season, unlike all other main competitors. That's why odds on Chelsea have dropped a bit, but they still remain juicy if you believe that Maurizio Sarri can outwit both Jurgen Klopp and Pep Guardiola. With so many controversies and reported scandals between Jose Mourinho and his players over the past months, it will be a real miracle if the Portuguese finish the season at “Old Trafford”. Although Ed Woodward (executive vice-chairman) supports Mourinho after the unconvincing Premier League start, it's pretty clear that players are not happy with Mourinho and this can only increase the tension in the most successful Premier League side. The Red Devils have won just 10 points after the first six rounds (3-1-2) and have also suffered a midweek setback in the League Cup, losing at home to a Championship side Derby County on penalties. Thus United have embarrassed themselves for the second year in a row in the League Cup. We just don't see how Manchester United can suddenly turn into a title contender this season and that's the reason why you'll see odds +4000 on Manchester United to win the league. For comparison, the betting odds were around +780 in the preseason. Both North London sides kicked-off the new season in a completely different manner, but we see them leveled on 12 points after six games. Tottenham Hotspur has lost the momentum gained in the first weeks of the Premier League season. The lack of summer transfer activity by manager Mauricio Pochettino and the delay of their move to the new Tottenham Hotspur Stadium are two other important factors that may affect their further performance. Spurs definitely have some talent in the squad but their inconsistency, especially in the big games, is perhaps the main reason why bookies see them as top-four challengers rather than realistic title pretenders at that moment. Unai Emery's tenure at Arsenal did not start very well as The Gunners have lost their opening two games to Man City and Chelsea. Nevertheless, they have been followed by six successive victories in all competitions (four of them in the EPL), which surely restored their confidence. Anyway, we don't reckon that Arsenal could be title contenders this season and Unai Emery should aim to bring them back in the top four, after two years out of the Champions League zone. Watford is surprisingly in top four after the first six rounds and some people dare to compare their performance with the one which saw Leicester City clinch the Premier League title in 2016. We honestly don't believe that The Hornets have the ability to shock the soccer community by repeating Leicester's fairy tale, but those of you who seek massive value can place a bet on Watford with odds +50000 at MyBookie. 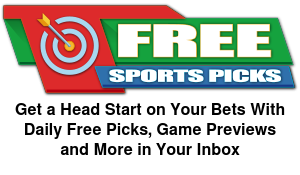 All odds are offered at our partners MyBookie!